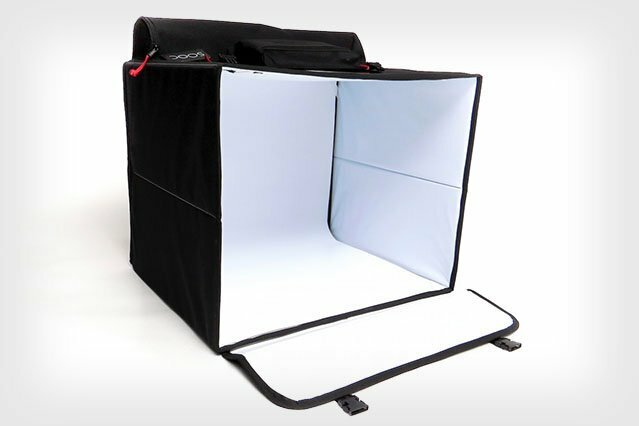 There are already a good number of portable lighting studios on the market, but WhiteBison�s SOOC Studio strives to be the best full-featured option. The kit includes a foldable carrying case that transforms into a durable 18x16x12-inch�setup with built-in 6,000K LED strips and an easy-to-clean plastic infinity curve. While portable boxes already exist on the market, having to provide additional lighting is less than ideal. With the SOOC Studio you simply unfold the studio, plug in the power adapter and get started. There is no need to fidget with lighting as the system comes ready to shoot high-key product shots. The WhiteBison SOOC Studio is a student-run product that is made in South Africa. If you are interested in obtaining one of their products you can visit their website by clicking here. The SOOC Studio currently costs R3,599 ($290). Currently, WhiteBison only ships to select countries. When we tried to have a SOOC sent to our location here in New York it was denied. Be sure to check that your country is available for shipping.